The owners of Thistledown Cottage needed an attractive website to tell potential holidayers about both the cottage and the surrounding area. After presenting a number of options, the owners opted to engage me to set up a website using the popular Wix platform. This approach allowed for quick setup of the website and gives the owners the ability to edit the site themselves in future. An additional feature we used was to link a calendar on the website to a Google calendar. This allowed us to add the ability for the cottage owners to display dates the cottage has been booked so that potential customers can check availability before sending an enquiry. 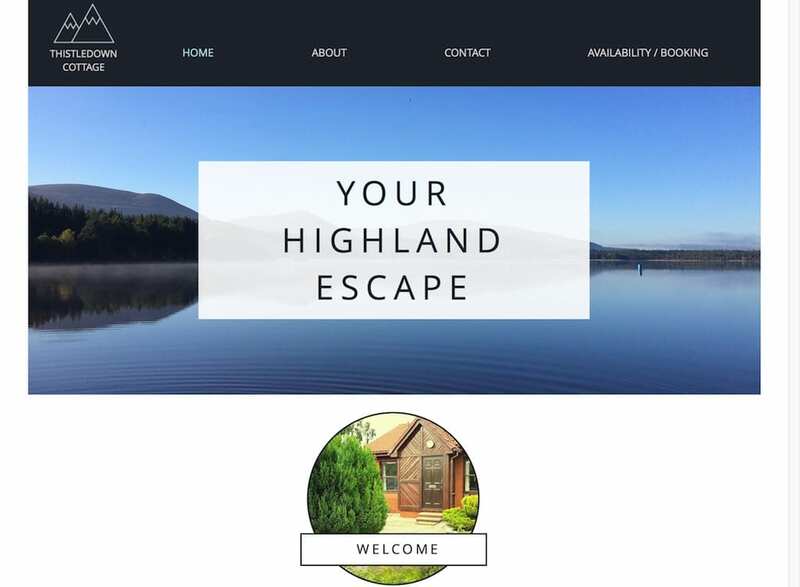 The resulting website is light and clear, giving visitors all the information they need to be able to find out about and book the cottage. The site is mobile responsive, displaying appropriately for visitors viewing it on mobile devices.